ABC remains the only one of the big four broadcast networks shut out of the NFL broadcast business, but it has a lock on its yearly marquee live TV event for the next 12 years. 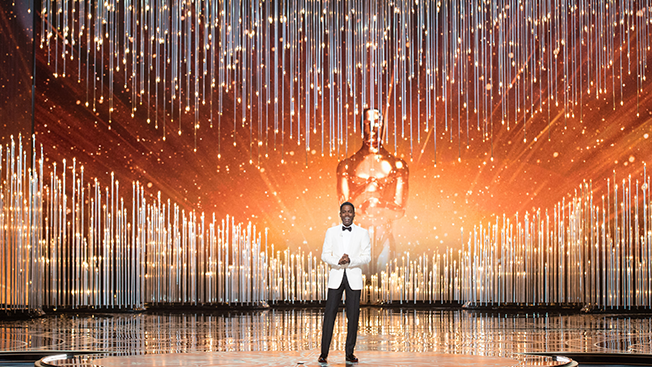 The network and the Academy of Motion Picture Arts and Sciences have extended their agreement for ABC to broadcast the Academy Awards—which is usually the most-watched entertainment program of the year—through 2028. This is an eight-year extension of the previous ABC/AMPAS deal, which was set to expire in 2020. "We're honored to continue our storied and successful partnership with ABC in broadcasting the most watched live entertainment event of the year," said Academy president Cheryl Boone Isaacs in a statement. "In 2028, we'll mark the Oscars 100th anniversary, and ABC is the perfect partner to help us celebrate the magic of movies with our fans." "After hosting the Academy Awards more than 50 times, ABC has become the home for Hollywood's most prestigious and glamorous night of television," said Ben Sherwood, co-chairman of Disney media networks and president of Disney-ABC Television Group, in a statement. "Broadcast television brings together the biggest audiences with high-quality live events, and ABC has the brightest, boldest lineup in the business." The deal was important for ABC, which doesn't enjoy the ratings bumps that CBS, NBC and Fox receive from broadcasting NFL games each fall or from airing what is always the year's most-watched TV program, the Super Bowl, every three years. Those games help keep those networks on top of the ratings each season, leaving ABC to instead tout its status as No. 1 network for entertainment programming (i.e., non-sports programming, though NBC said it now ties ABC in that category). But the Oscars isn't quite the ratings juggernaut it used to be. This year's ceremony, hosted by Chris Rock, drew its smallest 18-49 audience in at least 20 years, with 34.4 million total viewers. That made it the third lowest-rated Academy Awards telecast since 1974, which is as far back as Nielsen has telecast data for. But even with the 8 percent drop in total viewers from last year's Academy Awards and 6 percent drop in the critical demo, the Oscars will likely end the year as the most-watched entertainment program, and ABC's top telecast of 2016. ABC has exclusive domestic rights to the Oscars; the ceremony is also televised live in more than 225 countries and territories. The 89th Academy Awards will air Feb. 26. In June, CBS extended its agreement to broadcast the Grammy Awards through 2026, which will keep it on the network for 54 consecutive years. ABC has broadcast the Oscars every year since 1976; this new agreement will keep the ceremony on ABC for 52 consecutive years.